As a cosmetic dentist, Dr. Pescatore is committed to creating beautiful smiles with effective treatments. With veneers from our Danville dental office, we can improve patient confidence by correcting a range of aesthetic flaws. If you’re ready for a whole new smile, don’t hesitate to contact Dr. Pescatore to learn more about how dental veneers can provide the cosmetic results you’re looking for. Made of resilient and stain-resistant dental porcelain, veneers are thin coverings that are bonded over the front of unattractive or misshapen teeth. With the application of several veneers on front-facing teeth in your smile zone, we can provide you with a smile that looks even, balanced, and radiant. Our goal is to help you feel great about your new smile and to protect your oral health into the future. To begin your treatment plan, Dr. Pescatore completes a thorough evaluation of your smile and determines the numbers of veneers necessary to achieve desired results. He takes into account any existing oral health problems, the shade of surrounding teeth, and soft tissue height to ensure your veneers are as seamless as possible. Molds are taken of your teeth so veneers can be custom fabricated at our trusted dental lab. Once they are complete, you’ll return to our office so your new smile can be securely bonded in place. Your veneers can be cared for just as your normal teeth and provide lasting results. Our patients enjoy smiles that are whiter, brighter, and aesthetically pleasing through the use of cosmetic dental veneers. You don’t have to struggle with unattractive, damaged, or embarrassing teeth that keep you from smiling with confidence. 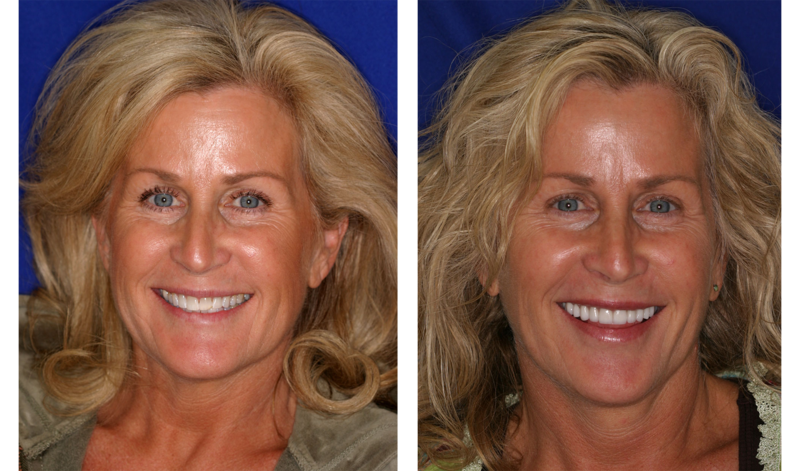 Dr. Pescatore is skilled in cosmetic dentistry and the use of veneers. If you have questions about whether veneers will work for you or what veneer alternatives are available from our office, call us today to speak to our dentist.